Growing your own vegetables this upcoming season is an economical way to get all your vitamins! 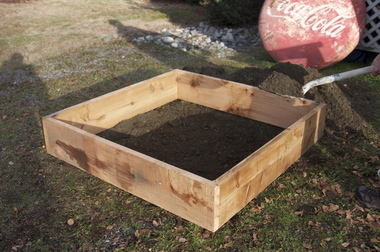 Building your own raised bed is an easy and fun DIY project. Building a raised vegetable bed for your garden is the best way for a beginning gardener to start out. Whether you plan on growing sweet cherry tomatoes, or fragrant bunches of basil, a raised vegetable garden bed makes growing any vegetable easier. Follow these instructions, print them out, and watch the video now to begin your vegetable garden this year. Building a raised vegetable bed watch the video! 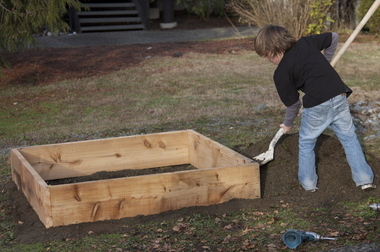 Building a raised vegetable bed for your yard is a simple project that anyone with the right tools and enthusiasm can do. 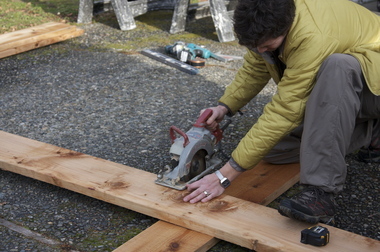 Follow these simple instructions for building a 4' X 4' bed for all of your growing needs. measure the second half of the plank and be certan that it is 4'. If it is not, measure it, mark it and cut off the excess off the end. *TIP: if you do not have the tools necessary to do this step, ask the lumber yard that you buy your wood from if they would cut the boards in half for you. Just make sure that the boards are excatly 8'. 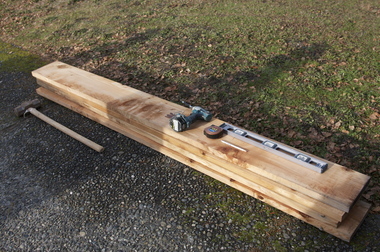 lay out all four pieces of wood flat in a square on a level surface. measure 3/4" from the edge of your first piece of wood and mark with a pencil at the top, middle and bottom part of the wood- this is where your screws will go. Repeat this on all four planks. Put the edges of the wood together and use three screws to each corner. It is easier if you have someone to help hold the wood together while you place the screws in. Do this for all four corners. * Insider Tip: If there is a gap between your boards unscrew the middle screw and the screw where the gap is, then rescrew the middle one, and rescrew the screw on the edge. This will bring the gap together. 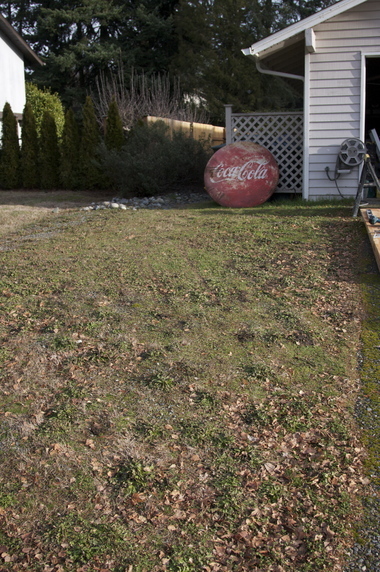 Try and choose a fairly level part of your yard, as this will make it easier to make the bed level. Choose a very sunny part of your yard for maximum growth of your vegetables. Lay the box down in this spot and using a sharp tool trace the ground on the inside of the box. Using a shovel, dig about 1' foot down, making sure to break up the soil as you go. Get your kids to help and make it a family project! 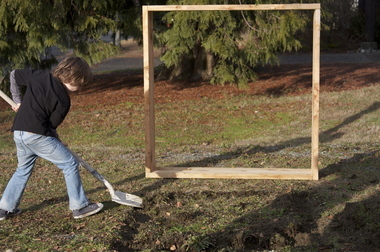 Place soil in the corners of the box to make it level with the ground. Place more soil around the edges and tamp it down with your foot. Follow these steps and you are well on your way to having mouth bursting flavor all season long! Looking forward to using this video in making my first raised bed garden project. Thanks so much. I want to do this but am on hilly sandy soil. Didn&#x27;t see link for raised bed on hillside. did it and used these directions and the video- thanks so much. I haven&#x27;t done this before as I am not a handy person, and neither is my husband, but that is a very inspiring article... so we&#x27;ll see. gee thanks. it was really fun doing this - getting my 6 yr old involved was hilarious. he was so into it!